Nepal playing against Indonesia in Women's T20 Smash semi-final - Integration Through Media ....! 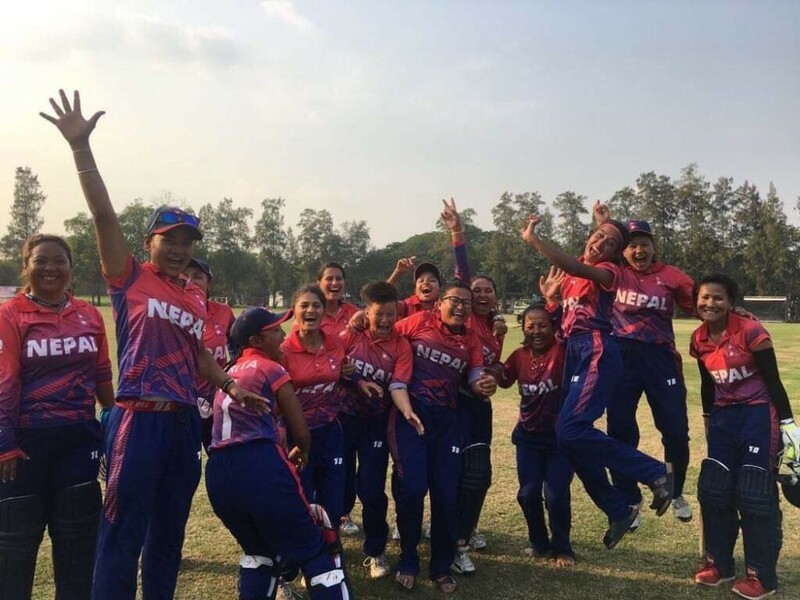 KATHMANDU: Nepal is taking on Indonesia tomorrow in semifinal of the ongoing Women’s T20 Smash-2019 in Thailand. The match will be played at the Terdthai Cricket Ground in Bangkok. Nepal made it to semifinal by registering its four consecutive wins becoming group winner. Indonesia is runner-up of Group ‘B’. Nepal won over China in its first match, Malaysia in second, United Arab Emirates in third and hosts Thailand in fourth and final under group phase. Nepal is placed in Group ‘A’ alongside China, UAE, Malaysia and Thailand. Likewise, Group ‘B’ has Hong Kong, Thailand, Indonesia, Bhutan and Myanmar. In another semifinal match scheduled for tomorrow, UAE and Thailand are competing.